When was the last time you threw out a photo album, a framed picture or even a single photograph? Chances are, you keep just about all of the pictures of you and your family that you ever had taken. Photographs are important documents reflecting a moment in time. That’s why we have labeled this page as an “investment” and not just “pricing”. When you purchase photographs or digital images you are purchasing an heirloom that not only can be enjoyed by you and your family but can be passed down to future generations for their enjoyment and treasure as well. When the first birthday cake is long gone, your baby’s tiny toes and fingers have grown into kindergartner size, you will still have these photographs to cherish. Thank you for considering Stephanie Laura Photography for your Pittsburgh newborn portraits! We are looking forward to creatively capturing wonderful memories for you and your family! Offering to families located in Cranberry Township and within 10 miles (some parts of Seven Fields, Mars, Warrendale, Wexford, Evans City, McCandless, Zelienople) only due to my limited availability. I will travel further for the Lifestyle Full Session. I will travel to the homes of previous clients that live further than the above areas. For newborns up to 1-month-old (between 5-10 days old is best for sleepy baby photos). There are more images included for the investment than the posed sessions due to the time it takes to achieve sleepy baby posed shots (including the props and safety techniques used) versus lifestyle sessions. Your home should get a lot of natural light for these types of sessions. These sessions take place in the comfort of your home. These are lightly posed – you holding your new baby with your family, pets, and relatives included if interested. I can bring some wraps and a basket if interested but otherwise, the focus will be on your baby with you in their room/crib, your living room, and your bedroom if interested. Lifestyle sessions are for newborns up to 1-month-old (between 5-10 days old is best for sleepy baby photos). There are more images included for the investment than the posed sessions due to the time it takes to achieve sleepy baby posed shots (including the props and safety techniques used) versus lifestyle sessions. This session will use the natural light coming from the windows in your home and will be primarily of the baby/family interactions, not posed. I will bring a few wraps, hats, headbands, but this session will use the natural light coming from the windows in your home and will be primarily of the baby/family interactions, not posed. The setting will primarily be your living room, baby’s room, and your family sitting on your bed if interested. Offering to families located in Cranberry Township and within 10 miles (some parts of Seven Fields, Mars, Warrendale, Wexford, Evans City, McCandless, Zelienople) only due to my limited availability. I will travel to the homes of previous clients that live further than the above areas. Offering this package only to families located within a broader radius of Cranberry Township – up to 15 to 20 miles. 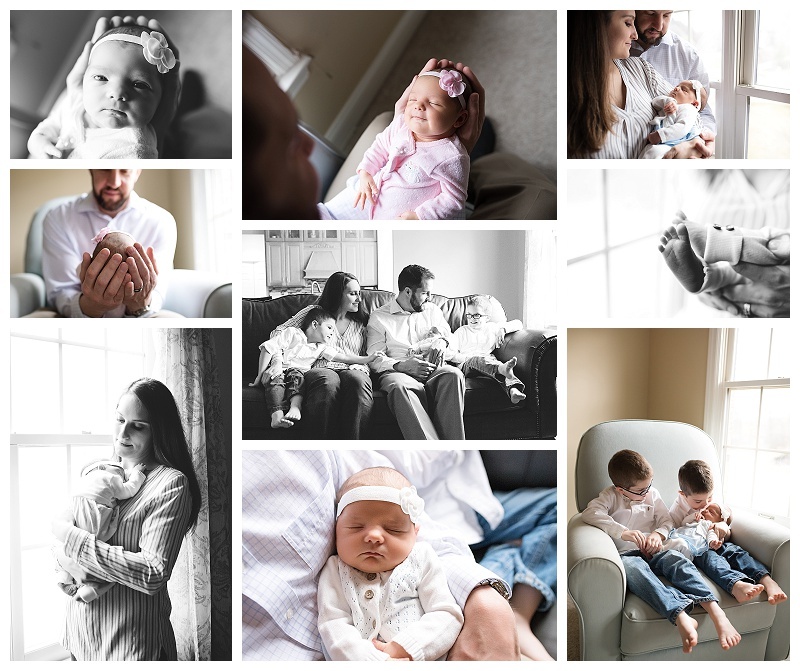 For the lifestyle portion, this session will use the natural light coming from the windows of your home and will be primarily of the baby/family interactions, not posed. The setting will primarily be your living room, baby’s room, and your family sitting on your bed if interested. This is only offered to families within 10-15 miles of Cranberry Township. If you schedule a newborn session, we offer mini session options for 4 months (can lay on belly and pick head up) and 6-8 month (can sit up independently, pre-crawler), and first birthday age sessions at only $150 EACH SESSION for 5 images – must be booked at the same time as the newborn session to receive this special offer. We recommend scheduling the 4 months when the baby is able to hold their head up on their tummy and the sitter session when they are able to sit independently before they can crawl. Inquire for details. Custom newborn portraiture is about the experience. We value the quality of images over the quantity of images. Please review our portfolio so that you are familiar with our style. Please note all babies are different and specific poses and props are not guaranteed. Pricing is subject to change without notice (this does not apply to signed contracts). Please contact me if you would like help stylizing your session and if there are items you would like to incorporate into your photos. Photos typically take 2 weeks to edit as we hand-edit each individual photo and narrow down the highest quality images to edit for you. Final image selection and editing are up to the photographer’s discretion. Total image is dependent upon each child’s cooperation with being photographed. Please peruse our Facebook page and website to get a feel for our editing style. We do not offer unedited images for purchase due to the nature of the product. Inquire for print pricing details. 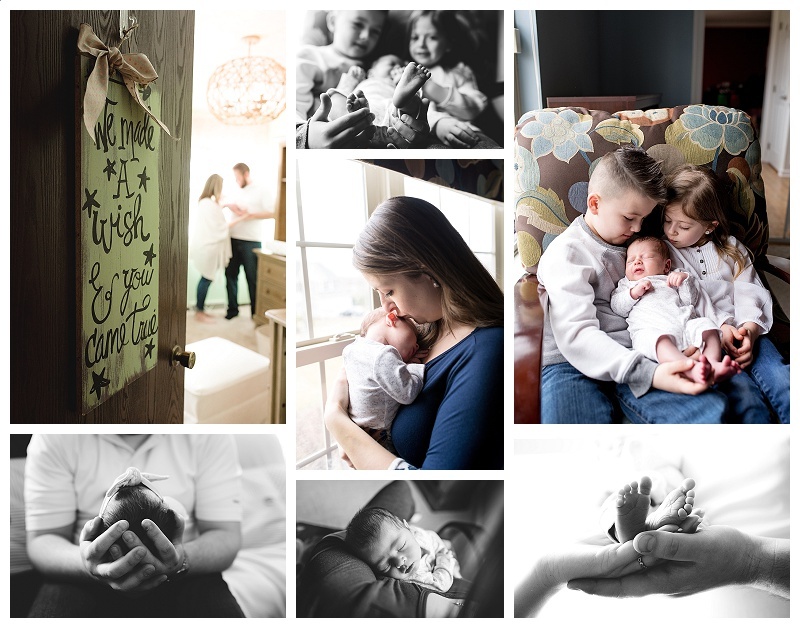 Stephanie Laura Photography is located in Cranberry Township, PA and is offering newborn photography sessions in Pittsburgh PA as well as child, family, and maternity sessions. Stephanie is considered the most experienced professional newborn photographer in the Cranberry Township and surrounding areas of the North Hills of Pittsburgh. 412-292-4399 for questions Please review our FAQ section.